Are you newly diagnosed with food allergies? Or know someone who is? 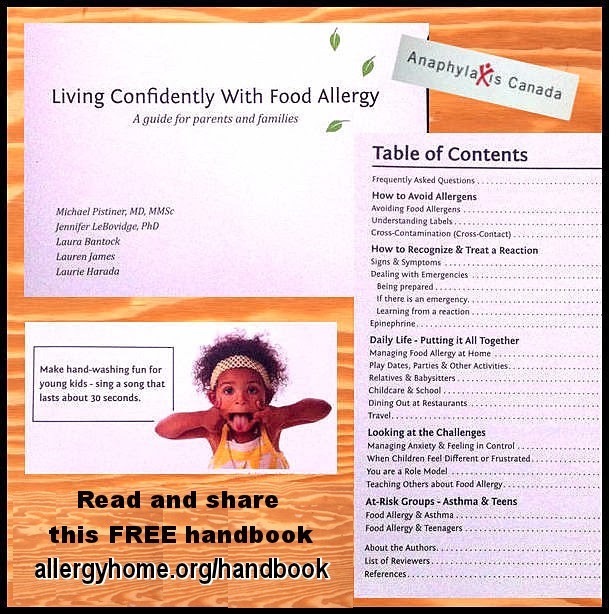 I highly recommend this FREE guidebook from AllergyHome.org, a website created by two pediatric allergists who’s mission is to spread food allergy awareness. I can only wonder what amazing positive effects it could have if every single food allergy patient could receive a copy of this book at the time of diagnosis. Download it, print it, and share it here, it’s worth the time, paper, and ink.